It was just a few days ago on Texas Biker Radio #136 I mentioned to Mel Robins my cohost that we would more than likely see another round of videos released by Waco PD and Able Reyna.. It's part of a pattern that has developed. 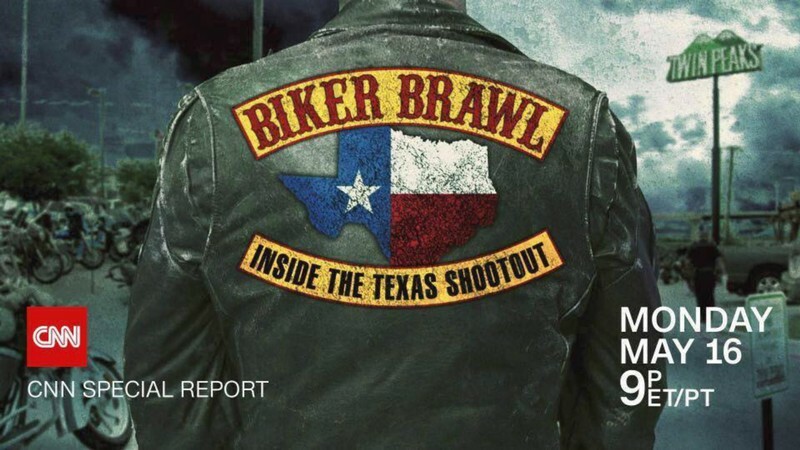 CNN is airing Special, Biker Brawl: Inside the Texas Shootout with Extraordinary images, captivating profiles and fascinating stories in the world. This all we could find in a way of previews of their show. I could be wrong but I think that maybe we should brace ourselves for another round of 1% biker basking along with everyone who wears a cut, profiling lies and innuendos. 1. Why did law enforcement not contact members of the COC who scheduled the event? 2. Why did law enforcement not stop it with a show of force before it started if they thought there might be trouble? 3. What were the rules of engagement for law enforcement officers that expected trouble? 6. Data of law enforcement arrests and convictions nationwide compared to bikers 1% or not. 7. Stories of undercover cops who admitted lying / participating in efforts to move thing along when there was nothing there. 8. How may of the 1000 weapons that ended up being 300 weapons displayed by law enforcement were actually legal under Texas State Law? 9. How many weapons were not actually weapons? ​10. How many were locked away in cars or trucks and were not in anyone's possession? 11. Did Able Reyna give the order to arrest people that were witnesses at best and deny the innocent due process? 14. Motorcycle Profiling going on across the Nation. 15. Law Enforcement has developed an aggressive nature which has overwhelmed common sense all across the country its now exposed as the law desperately tries to brand us all as criminals. 16. A year later no one has gone to trial....Lives have been ruined for something that should have never happened if competent law enforcement had been present. Those are just off of the top of my head..